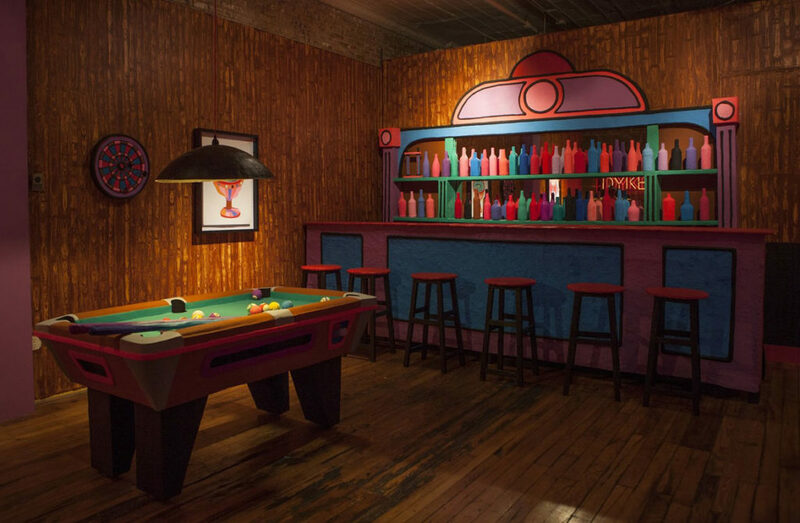 When it debuted as part of the Brooklyn artist’s residency at Wayfarers Gallery in New York in 2015, it featured neon signs in the storefront window reading “Dyke” and “Bar.” Inside was a pool table and bar backed by a row of bottles that looked kind of like they were sculpted from kids’ clay (actually they’re mainly cardboard and joint compound, plus some wood). 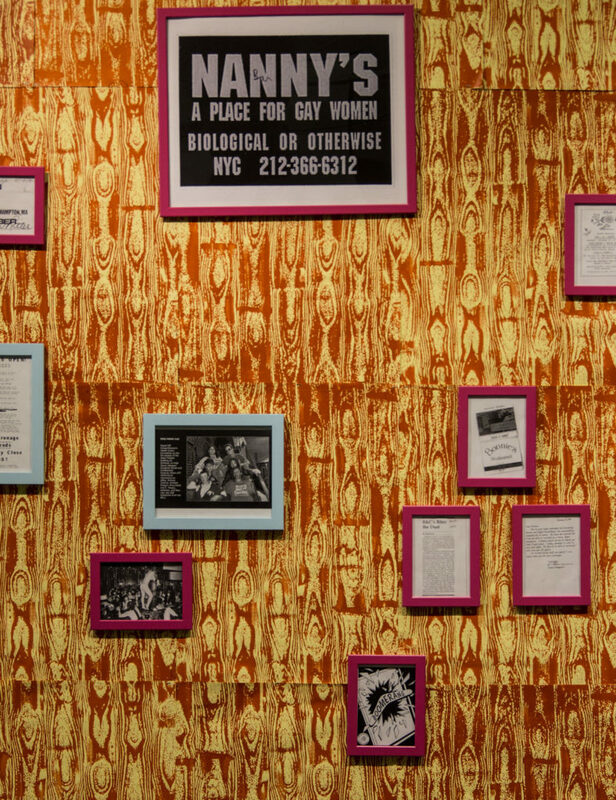 On the faux wood panel walls, she displayed farewell letters from lesbian bars that had closed over the years. 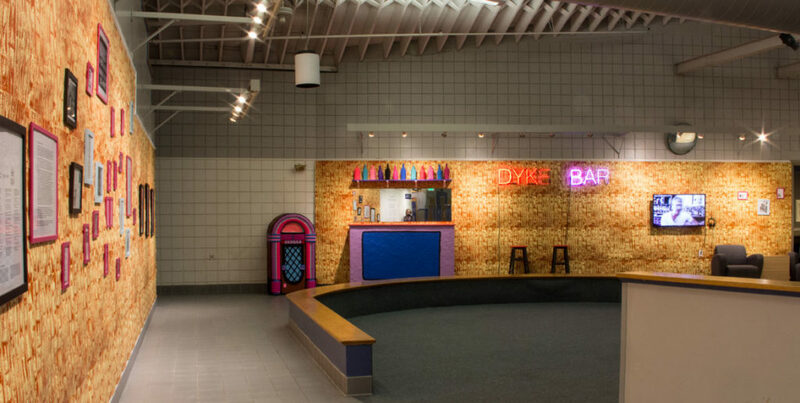 Nov. 15 reception for Macon Reed’s “Eulogy for the Dyke Bar” at University of Southern Maine’s AREA Gallery. 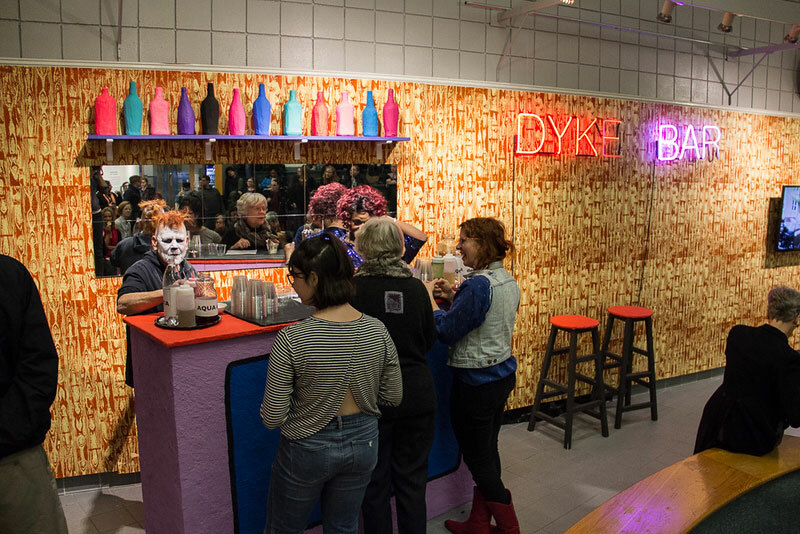 Macon Reed’s “Eulogy for the Dyke Bar” at Wayfarers Gallery in New York, 2015. Reed attributes the disappearance of dyke bars to the tighter economics for women in a society that routinely pays them less than men, the assimilation of queer culture into mainstream society, people connecting more via internet, gentrification, and rising rents forcing proprietors out. Seeing “Eulogy for the Dyke Bar” as an art exhibition, it appears as a sort of memorial. 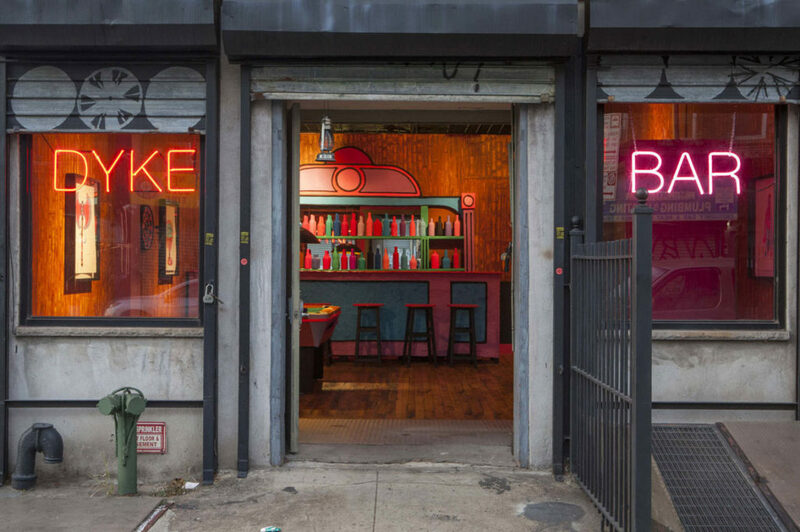 But in New York and during a Nov. 15 reception in Portland, the bar came alive for drinks and mingling. And folks got up to share their experiences in and around queer bars. 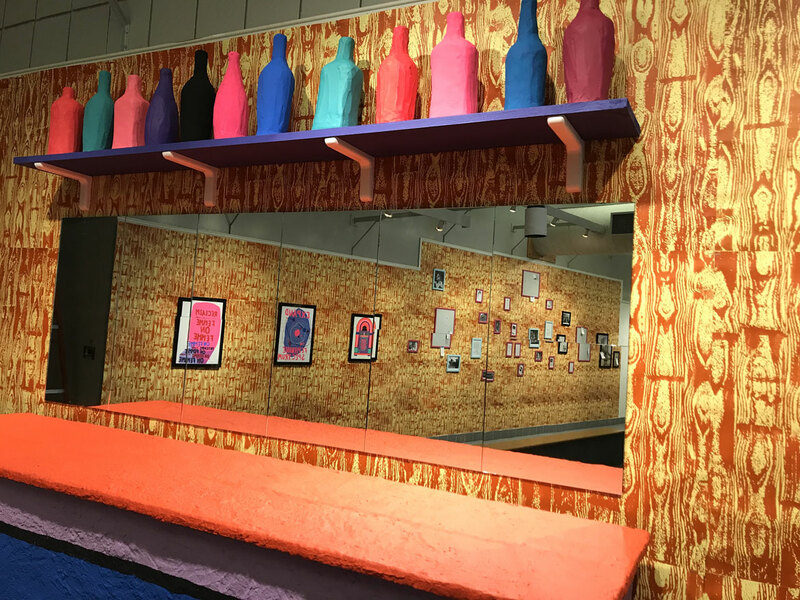 Macon Reed’s “Eulogy for the Dyke Bar” at University of Southern Maine’s AREA Gallery.